Termination is often a complicated and awkward area for any business owner; however it is sometimes an inevitable move that has to be made. There a number of situations where termination can occur. It is important that each situation is handled carefully to ensure that the process is compliant with complex employment laws. Often it may be a good idea to seek legal or HR advice before initiating the termination process. If a business fails to follow the correct process of termination, they can be liable for legal action, as well as fines and penalties. Employers should consider the various ways to terminate an employee’s role within the business and the legal requirements that will follow before making any decisions. Redundancy occurs when an employee’s role within a business is no longer required. This can occur due to reconstruction of the business, or technology taking the role of an employee. A redundancy is based on the operational needs of the business, not the personal performance of the employee. When an employee is made redundant they are often entitled to compensation and other entitlements. It is important the employer follows the correct protocols when making an employee redundant, which are laid out in the award or enterprise agreement. This form of dismissal occurs when an employee is absent from work for an extended period of time without providing a reasonable excuse. This could occur if an employee does not return to work after a leave of absence or for walking off the job without providing an explanation. If an employer wishes to terminate an employee under abandonment of employment they must show that they have taken steps to contact the employee before terminating them. A summary dismissal is when an employee is immediately terminated from employment due to a serious breach or misconduct, such as theft or assault. Generally there is no period of notice or financial compensation in lieu of notice. Although this type of dismissal does occur quickly it is still important that the correct formal process is followed, and that any allegations against the employee are thoroughly investigated before the employee is dismissed. A dismissal for a cause is less serious than a summary dismissal. 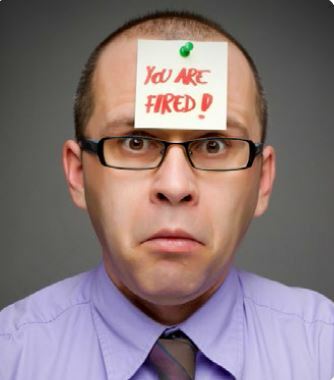 It is used when an employee is terminated for under-performance or other issues such as inappropriate behaviour. Leading up to a dismissal for cause there must be a disciplinary process which can include warnings and performance management in an attempt to correct the employee’s actions. This is when an employee’s role in the business is terminated by one party giving notice to another. This can occur when an employee resigns or if an employer informs a casual employee or contractor that they wish to terminate their agreement. Termination agreements often come with various provisions that must be complied with, for example the time frame for notice. There may also be other steps to follow listed in the relevant award.